We offer a wide selection of wheelchair accessible conversion vans for sale including used vehicles available from our inventory as well as many new and used vehicles available for order. We also do repairs and upgrades! At G & J Enterprises we know wheelchair lifts. Unlike some of our competitors, they are not a sideline. Mobility is our specialty! We are your local Billings BraunAbility authorized dealer and recommend their proven quality lifts. Service it as the heart of everything we do. Our experienced service department can install hand controls on your vehicle for easier operation. Need hand controls repaired or adjusted? We can do that too. At G & J Enterprises lifts and ramps are common mobility aids. We offer installation, service, warranty work, repairs, adjustments, modifications, and more for all of the many mobility products we sell. Need service or scheduled maintenance on your existing elevator? Our certified elevator mechanics can take care of all of your elevator service needs. We are a Local family owned business. We know that everyone’s mobility needs are unique. We have the tools, knowledge, and experience to perform whatever vehicle modifications your particular mobility situation requires. G & J Enterprises is a sales and service company specializing in mobility and accessibility products for physically challenged individuals. Customer service is our top priority and our personalized approach to dealing with customers insures that each and every client receives the help, support, and service that they deserve. Customer satisfaction is not just a buzz word at G & J Enterprises, it is a promise. In business since 1994, we have the knowledge and experience to help you meet whatever challenges you face. We are a locally owned and operated family business. Montanans helping Montana, Northern Wyoming & Eastern North Dakota customers. Being mobility specialists as well as authorized dealers for a number of large companies, we have access to the largest selection of mobility and accessibility products in the region. This gives us the ability to meet a wide range of needs and results in our customers getting exactly the right product for their unique situation. In addition to sales, we also offer installation, service, amd maintenance for all of the products we sell. BraunAbility Authorized DealerThe list of available mobility produsts available from G & J Enterprises includes: wheelchair lifts, assistive vehicle seats, powered transfer seats, hand controls, powerchair & scooter lifts, ramps, golf carts, walk-in tubs, stair lifts, vertical platform lifts, elevators, new and pre-owned conversion vans, and more. Being handicapped or physically challenged doesn’t mean that you should ejoy a lesser quality of life by giving up your freedom and mobility. At G & J Enterprises, we specialize in helping people in and around Billings, MT overcome accessibility and mobility barriers so that they can live life to the fullest. We sell and service a wide range of accessibility and mobility products and our highly trained staff has the knowledge and experience to help you choose the right products for your unique situation. In business since 1994, we have helped thousands of people overcome their mobility barriers and live fuller lives. Family owned and operated with a RN consultant on staff, we truly understand many of the difficulties faced by those with limited mobility. 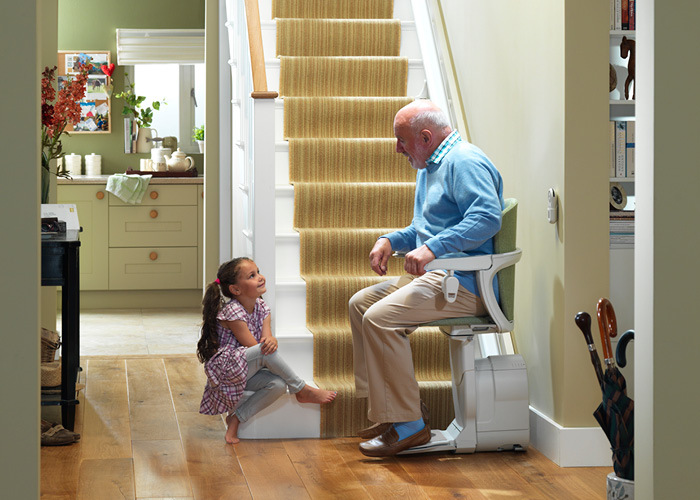 From ramps and elevators to hand controls and wheelchair accessible conversion vans, we have the mobility products you need and the knowledge & experience you demand.